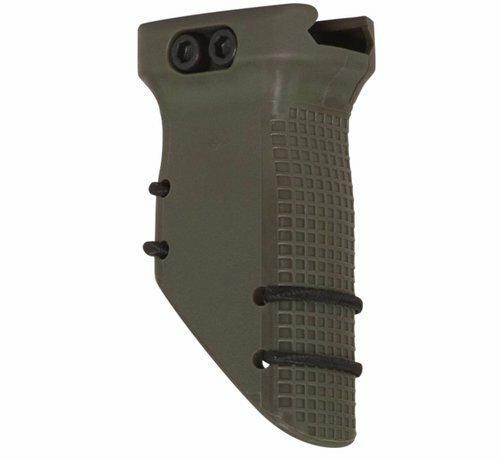 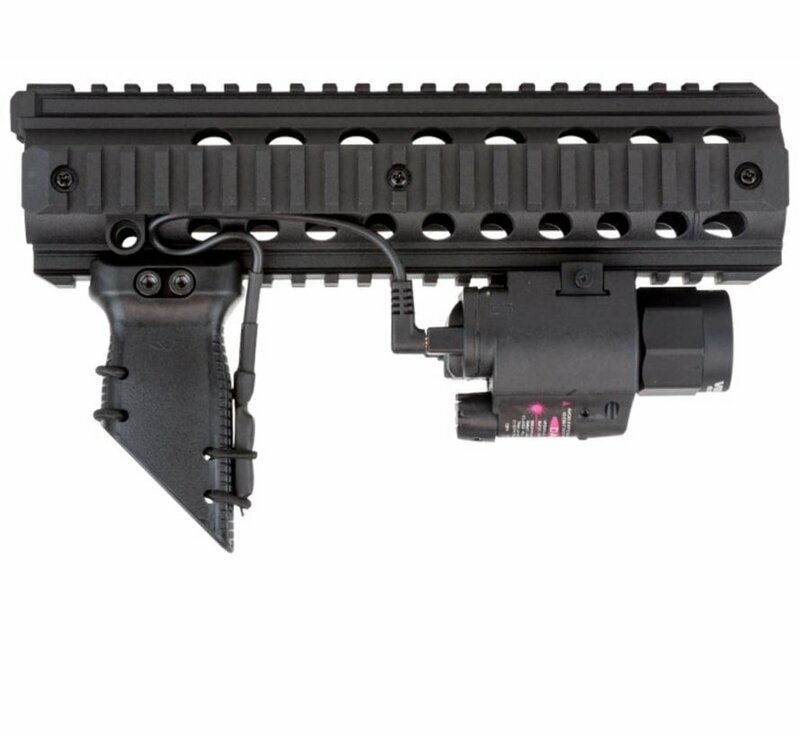 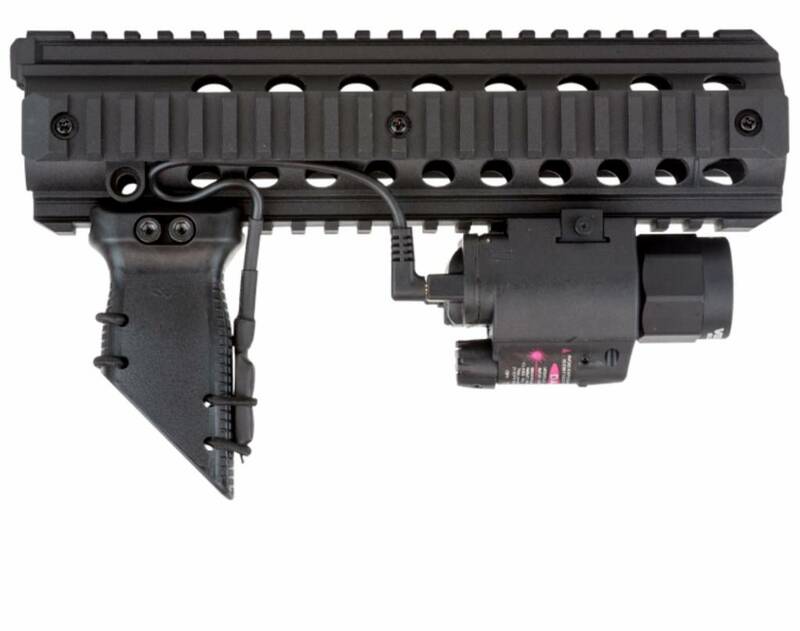 The Valken Tactical VGS (Vertical Grip System) has been spec'd and designed for use with 1913 Picatinny railed hand guards. 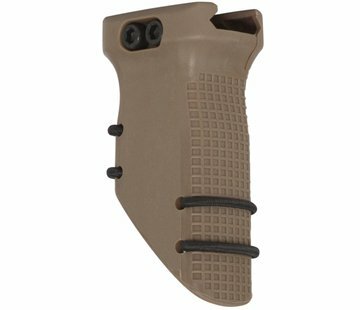 The VGS is a minimalist, light weight, cost-effective grip that also has light/laser pressure pad/cable management. 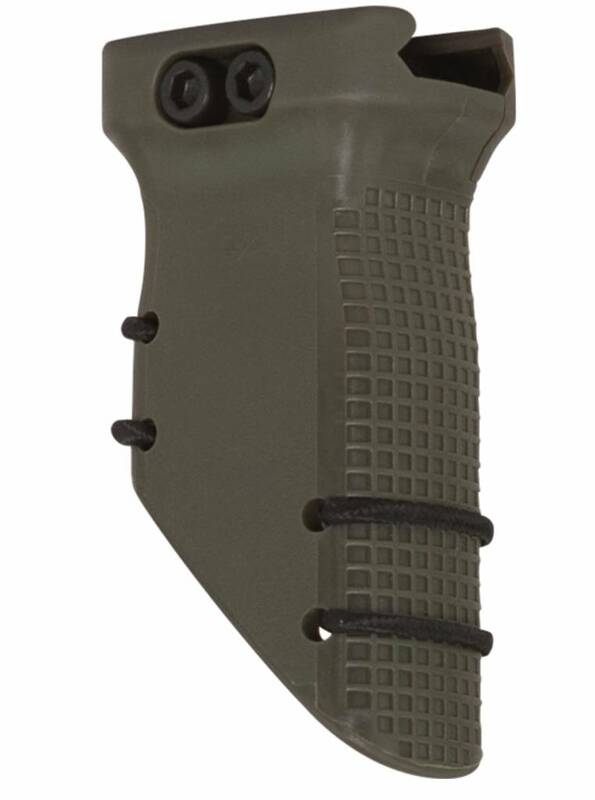 The shape of the ergonomic design allows the shooter to use it as a traditional grip, yet also encourages more dynamic grip techniques for several styles and body mechanics.